Well we are now nearly a couple of weeks into Spring and my mind has turned to the dreaded task of Spring cleaning. I have been tempted to throw open the windows and let all that fresh air in, which would be lovely, but the bright sunshine really highlights all those parts that have been hiding for the last few months. The worst parts are definitely the patio windows in the kitchen. The boys love rubbing their grubby little hands all over them! I have decided to collect a few little items to make the job of Spring cleaning more enjoyable. 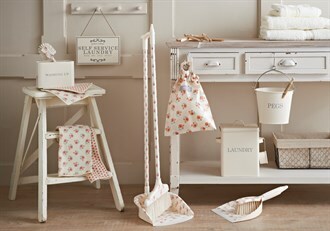 The items in the picture above are all from Matalan and are available in blue as well as cream. 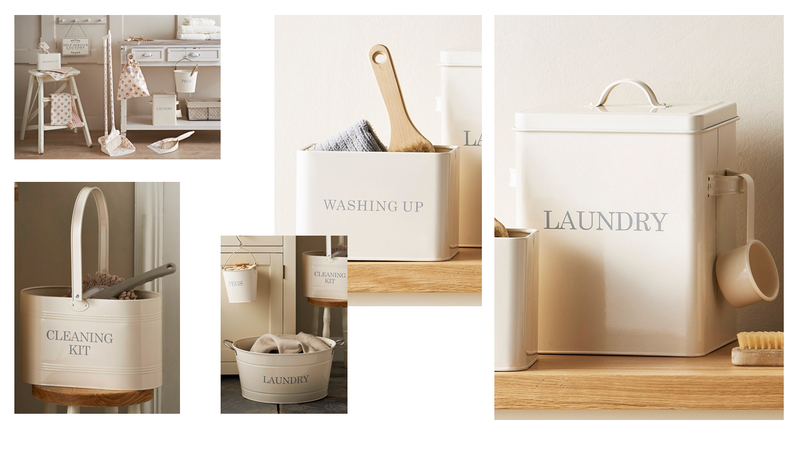 I already have something similar to the cleaning kit, that I got from Aldi last year, but I would love a couple of the other things from this range. 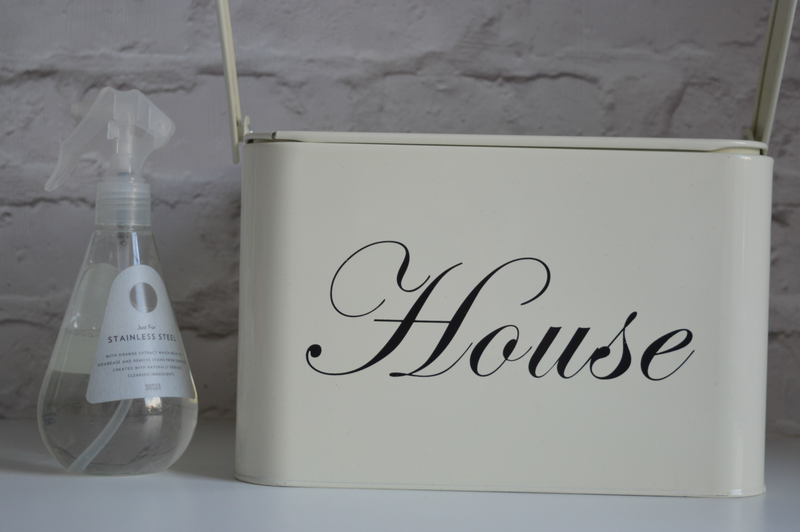 I especially like the Laundry tin for powder. 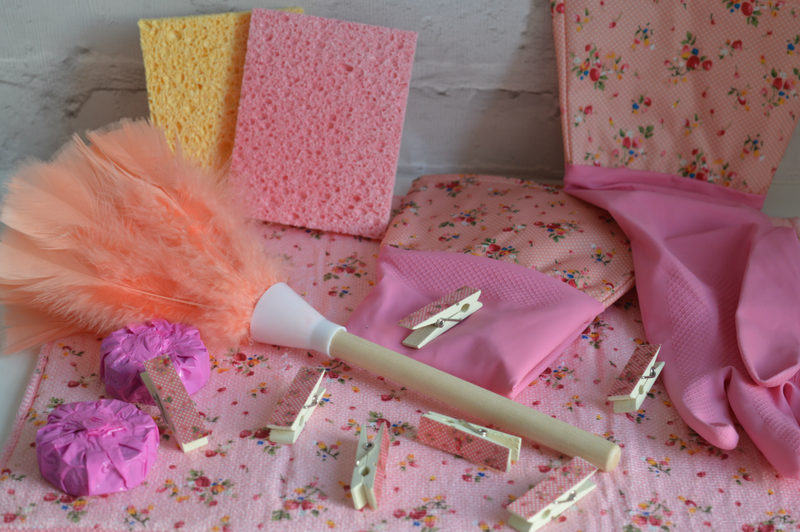 The other week, I was shopping in Poundland for pastel coloured baking items - see my instagram here, to see what I bought, when I noticed a lovely vintage range of cleaning items, that I have since purchased. They can all be seen in this picture. How cute are the pegs - 18 for £1.00 and that mini feather duster is just the right size, I think. These few little items have really cheered me up and I'm now raring to go! You'll have to excuse me here, if I'm late to the party with this one. I have found an app that is similar to the built in timer that already comes on the iPhone. It is called Timer and is a free download in the app store. The thing I love about this app is that you can label the timers for ease of use and colour code them too, which is right up my street. I have already set one up for quick clean - 15 minutes. The job isn't as difficult, if you know you have a set amount of time to do it and I for one, will make excuses that I can't fit cleaning in, because of the time it takes. Everybody can find 15 minutes here and there, can't they? 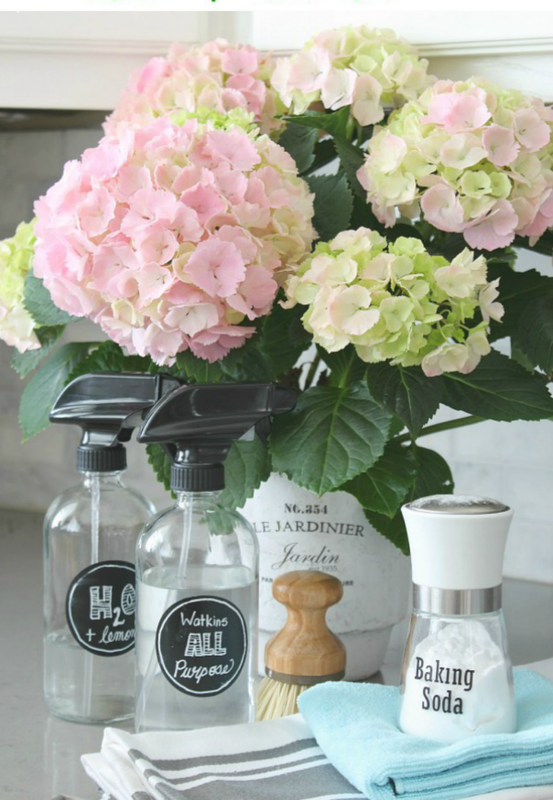 To make the job of Spring cleaning even easier, I like to work to a list. There are loads of bloggers who produce lists for cleaning. This is one of my current favourites. The Clean and Scentsible website is currently running a series of posts on how to detail clean room by room. 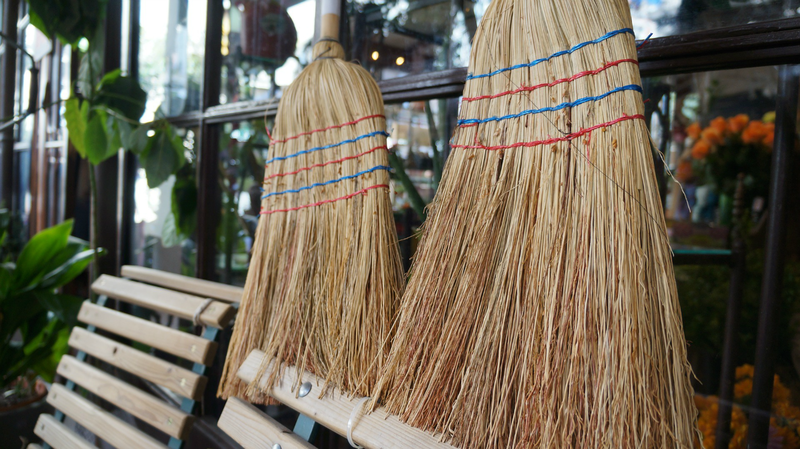 I hope I have given you some inspiration to get started on your Spring cleaning. What do you think of the kit? This post has not been sponsored, I just like to share details on the things I like. The Twinkle Diaries and Mummy of Boy Girl Twins for #homeEtc here. I am so lucky as I naturally love tidying, I get really stressed if my home isn't clean and tidy so I'm forced to keep it looking nice. Also my boyfriend who I live with is a clean freak, we make quite a pair! I need to grab some nice storage for our supplies though and I'm going to try some of those natural alternatives.